Regardless of the size of your organization or your position, it’s a reality in healthcare today that your job will require you to wear many hats and to work smarter, not harder. You may find yourself responsible for multiple departments or teams in several different locations. Maybe your organization has experienced a merger and you are now involved in marketing, business development, and strategic planning. 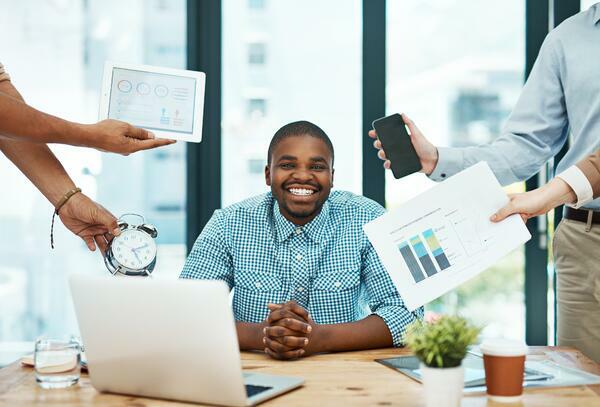 Whatever the case may be, it’s critical now more than ever that you master the skills of productivity and time management, finding resourceful ways to be more effective with your limited time. Be Prepared to More Effectively Tackle Meeting Discussions: Has this ever happened to you? You walk into a strategy meeting with your strategic plan, ready to plan for the future, but walk out with long list of to-dos instead? 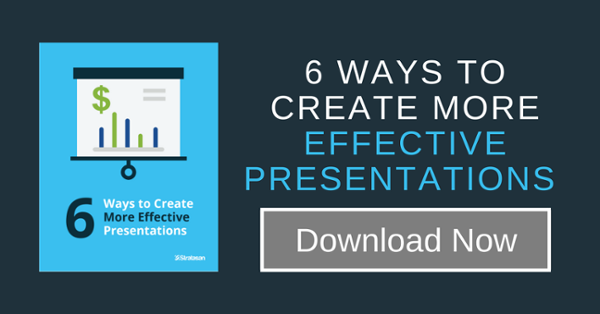 The opportunity to create alignment and develop a cohesive strategy can be missed when you rely on prebuilt, static presentations. Questions will inevitably come up in planning meetings. Be prepared to answer them and adjust your plan collaboratively, addressing questions and concerns in the moment. With Launch Pathway’s Storyboard application, you can transforms strategy meetings into productive, collaborative, working sessions. Put Up a “Do Not Disturb” Sign: When you are working on a tight deadline or on a project that requires your complete and absolute attention, try putting up a “Do Not Disturb” sign. A good pair of noise canceling headphones can also do the trick. Set expectations with your colleagues that when you have your headphones on or your “Do Not Disturb” sign up, it’s your way of sharing that you don’t want to be interrupted. Encourage communication through email or Slack—tools you will check when you are done with your urgent project. Spend Less Time Digging Through Demographic Data and More Time on Strategy: Traditionally, a demographics tool is given to a planning team for them to slice and dice a sea of data to fit their needs. In this scenario, planners often waste precious time digging through data, trying to find the best way to organize it rather than making decisions based upon it. Launch Demographics cuts out this endless cycle of data mining. With the added capability of Storyboards within Launch Pathway, planners can quickly convert the useful demographic insights they uncover into elegant presentations that will be automatically refreshed whenever new data is available. Plan Your Day in Advance: Carve out 15 to 30 minutes of each day to plan how you will spend your time. Think of it as a “time budget.” You budget your money, so why not budget your time? Whether you do your planning at home or in the office, make it a part of your daily routine. For some, this happens best first thing in the morning. Have a regular 7 a.m. medical staff meeting each morning? Try to arrive 15 minutes early so you’re ahead of the game. If you have a lot of early morning meetings and arriving in advance of those isn’t realistic, the evening could be your best option. Just before you leave the office or right before you wrap up the last details of work at home—this could be your quiet time to plan ahead for the next day. Whatever the ideal time for you, the tactic is the same. Simply write down the work-related and personal things that you need to get accomplished in the day ahead. Write them in priority order so you know what you must focus on first, even before you crack open your inbox. You don’t need any special tools: pen and paper work as well as a fancy “to-do” app. You’ll find that this daily habit will help you to prioritize and more efficiently tackle the challenges of a busy day. Set Priorities: Planning your day involves setting priorities. That’s because effectively managing your time throughout your day requires you to make a clear distinction between what is important and what is urgent. Important tasks are tasks that need to be completed. However, they may not have a specific deadline. Urgent tasks are tasks that need to be completed by an impending deadline. They need to be done now! Remember that all important tasks are not urgent tasks. For example, pulling a report for your boss is urgent. Understanding the numbers in a report and drawing meaningful conclusions from the data is VERY important, but likely not as urgent. Take care of the urgent tasks right away. Then, rank the remaining tasks in terms of their importance so that you don’t neglect them. Eliminate Self-Sabotaging Thoughts: You don’t need to attend a Tony Robbins seminar to know that you have self-sabotaging thoughts. We all do. When it comes to your time, stop saying to yourself that you don’t have enough of it. Stop telling yourself that you can’t complete one or more tasks. Periodically remind yourself that you have the right skills and the exact amount of time you need to complete your tasks. You have the same amount of time as everyone else in the world. 24 hours a day. One way to feel in charge of your time is to stop saying, "I didn't have time" and start saying "I didn't make time." It’s empowering. Turn Off Social Media: Unless your job is to manage social media for your organization, ignore it completely. Social media will disrupt your workflow. Two to three minutes each hour adds up to a lot of time lost. Focus instead on accomplishing your urgent tasks. Try a Time-Management App: When it makes sense to manage your time down to the minute, try using a time-management or to-do app that’s right for you. Here are a few helpful options. A Pomodoro app - Pomodoro apps are based on the Pomodoro Technique developed by Francesco Cirillo. The underlying concept is that you can focus better on a task if you work in blocks of time (usually, a 25-minute block called a Pomodoro) and then take a 5-minute break. After 4 consecutive working time blocks, you can take a longer, 15 or 20-minute break. Toggl - This app is marketed to professionals who bill clients by the minute or hour. However, it can be used to determine how much time you are spending on a task. It could be very helpful for a VP of Planning, for instance, when wanting to track time spent on each hospital or outpatient surgery center. Turn it on with a click when you start a task. Then turn it off with a click when you complete the task. Then compare the amount of time you planned to spend on the task with the amount of time you actually spent on the task. This creative use of Toggl will help you measure your efficiency. Wunderlist - This is a to-do list on steroids. Have a large project that you need to manage? No problem. Simply set up a list for that project and categorize all of the tasks necessary to complete the project. You can also set reminders to get those urgent and important tasks on your list completed. Perhaps one of its best features is that it syncs between your desktop and your mobile device. Trello - Trello excels at allowing you to work with a team to manage a small or large project. Once you have created a project in Trello, you can set tasks and subtasks (along with deadlines) for that project. Then you can assign those tasks to team members. Even if you don’t have a team, Trello is a great project management too. And, like Wunderlist, it also syncs between your desktop and your mobile device. Ignore Your Phone: Unless there’s a valid business reason why you must answer your phone every time it rings, don’t answer it. Try checking your voicemail every hour or half-hour. Whether you have an iPhone or an Android phone, you can turn on the Do Not Disturb feature to keep calls and other notifications from lighting up your phone. When you use this feature, you never have to worry about missing important or urgent calls, as you can give priority status to individual contacts. Whenever a priority contact calls, your phone will ring. A note of caution, while ignoring your phone altogether during the workday can make you more productive, it can also give you the unhappy reputation of being unresponsive and hard to get a hold of. Balance is always key. If you are someone who needs to be available, keep that in mind and only enact this practice when focused on completing important, time-sensitive projects. Ignore Your Email: Emails are just like phone calls: checking them can be intrusive if you do it compulsively throughout the day. If you get lots of email, try checking it every hour or half-hour. Another system for email management are to follow these response rules:If your response will take less than 30 seconds, do it now. Delegate it if you can. If your response will take more than 3 minutes, flag it for later. Get Organized: People with messy desks and cluttered offices often think that they have everything under control. They have a filing “system” in their head that helps them find what they need when they need it—or so they think. The fact is that being organized improves productivity. 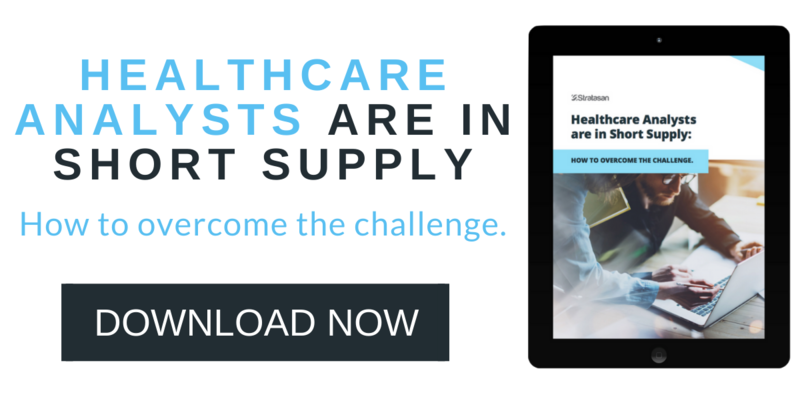 To manage your time more effectively, and get more done each day, healthcare professionals should have easy access to all of the things you need. Avoid Multitasking: Multitasking is a myth. Studies have shown that multitasking does not actually save time. In many cases the opposite is true. That’s because you lose time when switching from one task to another. This disrupts your concentration and your workflow. A surgeon doesn’t multi-task when performing surgery - and there’s a good reason for that! To be more productive throughout your day, try to focus as much as possible on one task. When it is complete, then move to the next task. It’s okay if you get interrupted. Just return your focus to the interrupted task when you can. As a healthcare professional, think of managing your time effectively as more than just the key to having a productive workday. Think of it as a secret to a more successful career and a happier personal life. Nothing can leave you feeling more anxious about your “to do” list and overwhelmed by your job then having projects roll over from day to day, never feeling fully accomplished. You can overhaul your productivity by implementing a few of these tips and taking control of your time like never before. Surprise your team and yourself with just how efficient you can be and leave the office at the end of the day feeling like you’ve accomplished what you set out to do. For more information about the Stratasan tools that were recommended in this post, such as Launch Pathway, Launch Demographics, and Storyboards, request a discovery call with Sean Conway today. Sean will demonstrate how many of Stratasan’s offerings can save you time and make your planning and strategy efforts more effective. Connect with Stratasan on LinkedIn or follow Stratasan on Twitter and Facebook.